A covered lagoon anaerobic digester on Cace Van Steyn's dairy farm in Elk Grove, CA. 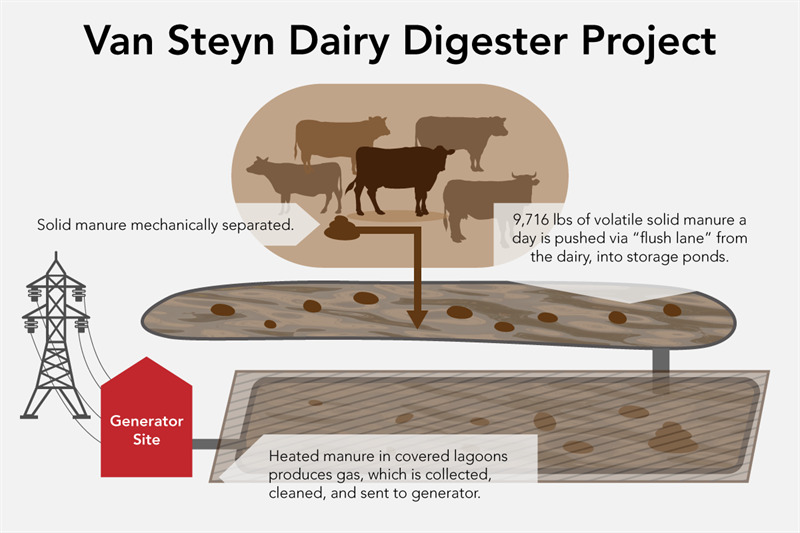 The digester converts cow waste into electricity. 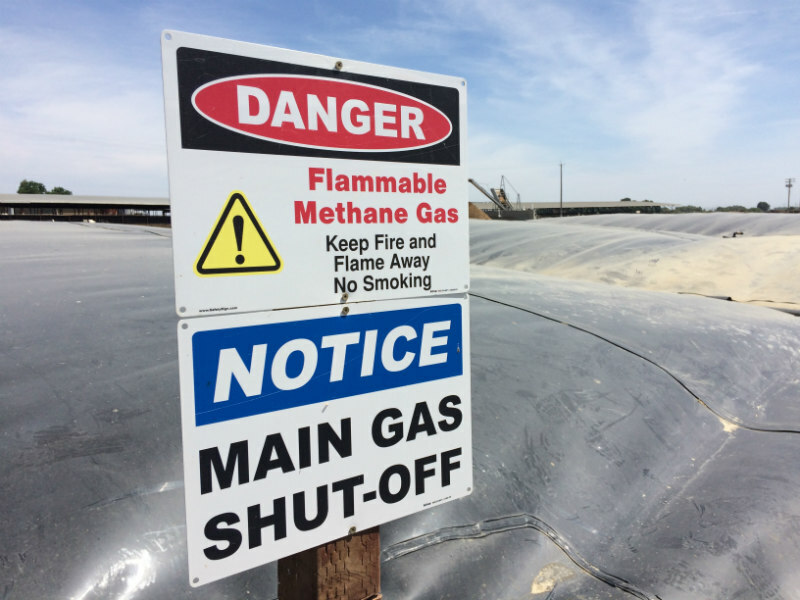 Forty-five percent of California’s methane emissions come from dairies, the largest source of the potent greenhouse gas in the state. The 700 cows on Cace Van Steyn’s dairy farm in Elk Grove excrete about 98,000 pounds of manure and urine every day. All that waste produces methane. The dairy is now using a flush system to collect that manure from most of the stalls and carry it to a covered lagoon where an anaerobic digester converts the gas into enough electricity to power 125 homes. Van Steyn says there are other benefits. 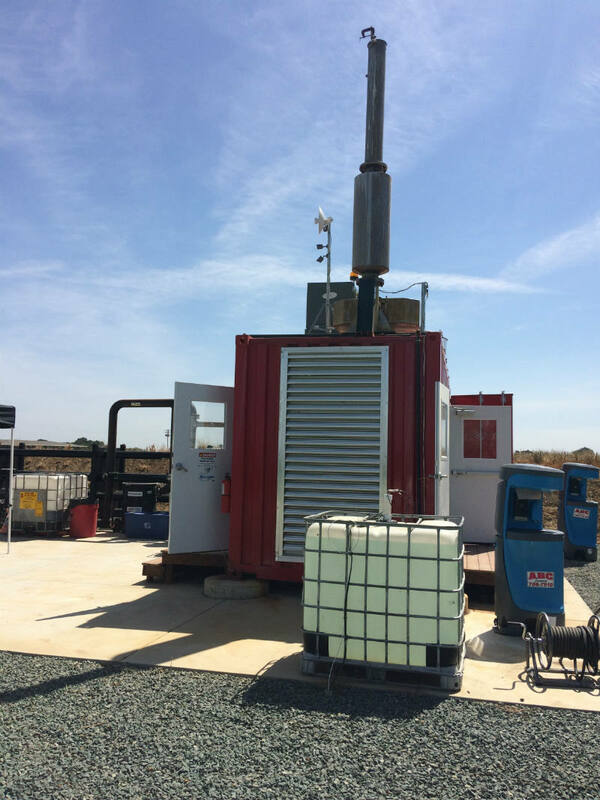 “This helps because it makes the manure much more manageable and easier to access and then if you add the generator part of it that helps generate some cash. It’s a win win I think,” says Van Steyn. The Sacramento Municipal Utility District paid for the largest portion of the $1.4 million project. Another $254,000 came from the USDA Natural Resources Conservation Service. "We have to access to funding," says Van Steyn. "If there is access to funding like SMUD is doing, or USDA or people stepping up, then I would suggest that people seriously look at it and see if it can work for their farm." Money from the state’s cap and trade program also helped pay for the project.